What It’s About: An enormous grizzly bear is loose in a state park. Can ranger Michael Kelly (Christopher George) find it and stop it? Why Watch it Today? : Director William Girdler was born on this date 65 years ago today. Girdler only completed nine films before he died in a helicopter crash while scouting locations in the Philippines, but the films he made are much-loved by B-movie fans, especially his shameless cash-ins, like today’s “Jaws in a forest“. Other Choices: Girdler directed former movie of the day choices Abby, The Day of the Animals andThe Manitou. 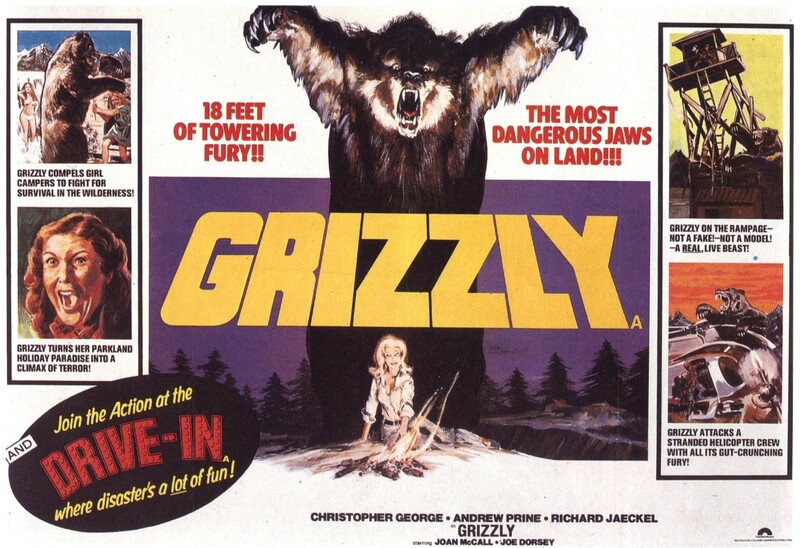 This entry was posted in Adventure, Animals Attack, Event Film, Horror, Independent, Movie of the Day, So-Bad-It's-Good, Thriller and tagged Andrew Prine, bear, cash-in, Christopher George, helicopter, park ranger, Richard Jaeckel, rip-off, rocket launcher, scientists, state park, William Girdler.